Construction: Waterproofed FiberNyte exterior. Bonded to polyester lining using StormBlock butyl rubber. Leather trim. Padded interior. Superflex partition system dividers. Two-piece lid design with a central, double-layered, waterproof seam. 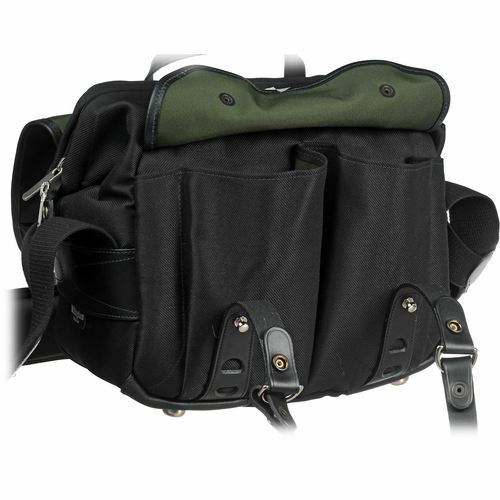 Quick release system uses top grain leather tabs with cut-outs in the straps that engage with the solid brass ClogBalls for fast opening with positive and secure closure. Nickel fittings. Double puller zip is fully opened; two integral carbon fiber wands create a wide rectangular frame which holds the bag open, maintaining the shape while keeping the zip teeth out of the way. 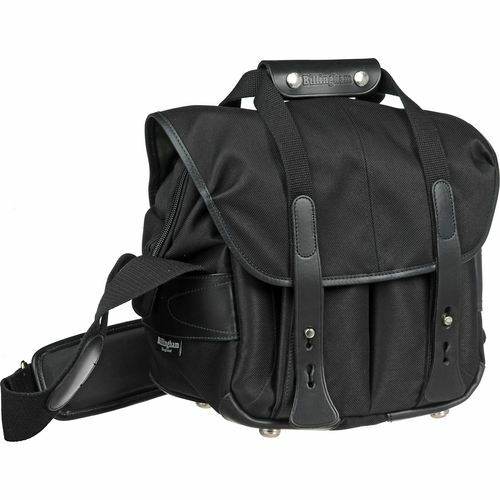 Zipper pullers carry the Billingham logo and have been lengthened for ease of operation. 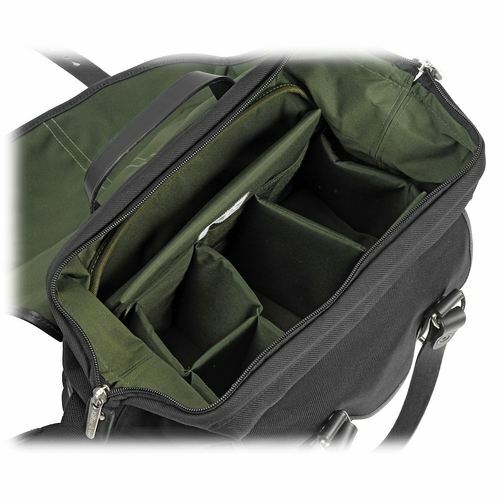 PressTop which provides easy access to the camera equipment on the move, through a cavernous, zippered opening. Rain flap has the twin benefits of being functional whilst maintaining the bag's clean lines Pockets: Two front pockets under the rain flap. Full-width rear zippered pocket is protected from the weather by an extension of the main rain flap. Security label incorporates a micro laser engraved Mylar security strip which is proof that the bag is a genuine Billingham. Carrying options: Grab handles with press stud leather grip. Attached, adjustable inverted Y' shaped Delta shoulder sling with SP50 shoulder pad. 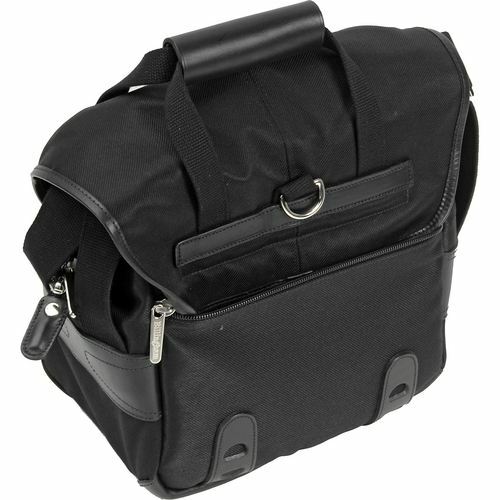 Shoulder sling's fixing points prevents tipping and rolling motion when the bag is fully loaded. Four sets of discrete 'D' holes two sets on front and back for optional tripod straps that can be threaded, plus they can act as lower mounting points for the attachment of the optional 5-point back pack harness.